The Feast of Santa Rosa de Lima, Peru's patron saint, is celebrated August 30 as a national holiday in Peru and some Latin American countries. Elsewhere, including Spain, her feast day is celebrated August 23. 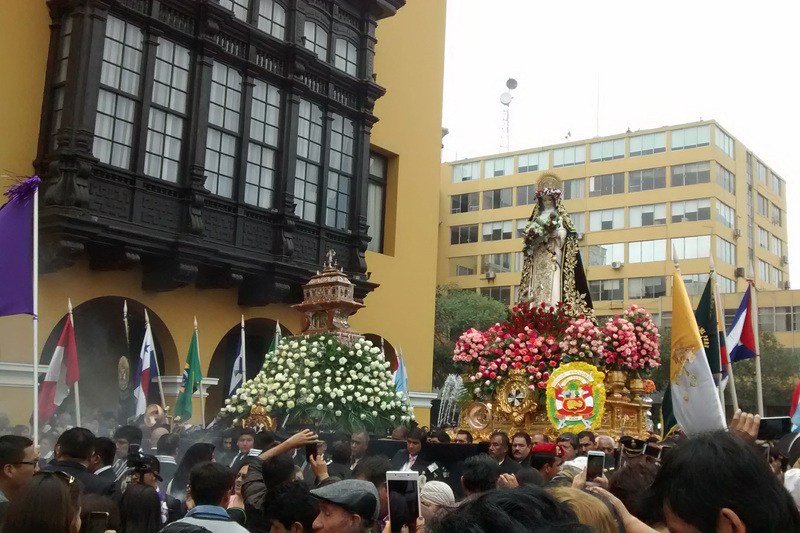 The celebration in Lima, Peru, which is nationally televised, includes a daylong procession of her image through the downtown, and visits to her church and sanctuary, where believers wait in long lines to drop their petitions into a well.